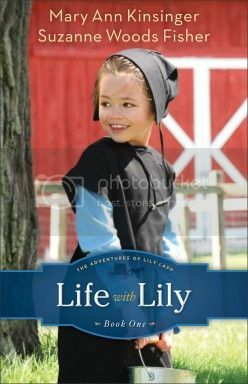 When I first heard about Life with Lily, I was told it was appropriate for 8-12 year olds. I was pretty sure my boys wouldn't be terribly interested, but the cover and the fact that Lily is six kept me thinking that I wanted to try this out with Trina, also six, even though she is younger than the suggested range. Visit her website to find out more about Suzanne. Well, this hasn't worked out quite as well as I hoped as a read-aloud for Trina. Trina thought Lily looked really cute and nice, but it is taking a bit of effort for her to get into hearing the story. So I've been reading it on my own, and I plan to try it as a read-aloud in another few months. I think she will love it, but maybe that 8-12 age recommendation was a bit more accurate than I assumed. I think the book is fabulous. Lily is curious and intelligent and simply a lot of fun. I am reminded of reading other book series' about bright, inquisitive little girls from times past -- books like Little House in the Big Woods, where Laura is around the age of Lily in this book. Only Lily is present-day. This is a series I will continue. And as we get past the first few chapters, I suspect Trina is going to change her tune. Or once the weather cools a bit and cuddling up for a story has more appeal. You can visit the LitFuse Blog Tour page to see what other people thought of this adorable book!